Some random tips to help save, be more efficient, or simply make life a little easier. can’t beat 3 bunches for $2! and it’s organic. At the local grocery store where I shop, there’s always produce bundled up in plastic wrap that is just a little unattractive…but there is absolutely nothing wrong with it! It’s price is super attractive though ($2 for 3 bunches of organic kale! compared to regular $2.99 or so for 1 bunch) and here’s the trick to revive and make the greens look attractive and appetizing again! Remove greens (for example, kale, swiss chard, collard greens) from plastic wrap and remove leafy part from stems. The easiest way to do this is to hold the bottom of the stem and run your other hand up to remove the leafy green parts. 3 bunches of organic kale, revived, washed, and ready to go! Whenever I have time to make cookies, I try to remember to make an extra batch so that I can freeze them in these into cookie dough balls. These are perfect to pull out and pop into the oven if you have last minute guests, need to bring something to a play date or dinner party, or when you’re craving that home baked good but don’t feel like starting from scratch! Use a small ice cream scoop or two spoons to scoop your cookie dough and drop onto a cookie sheet lined with parchment paper. 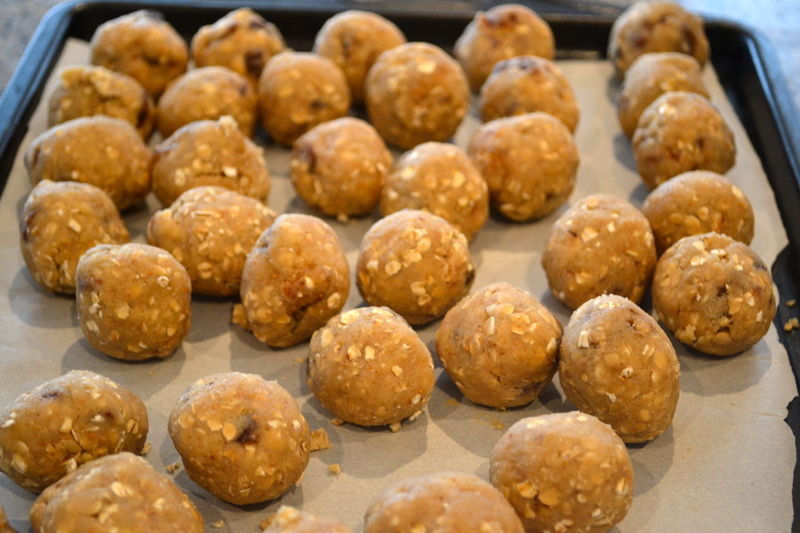 Once you’re done, take the time to use your hands to roll them into balls – this will freeze better and keep them as separate cookies. 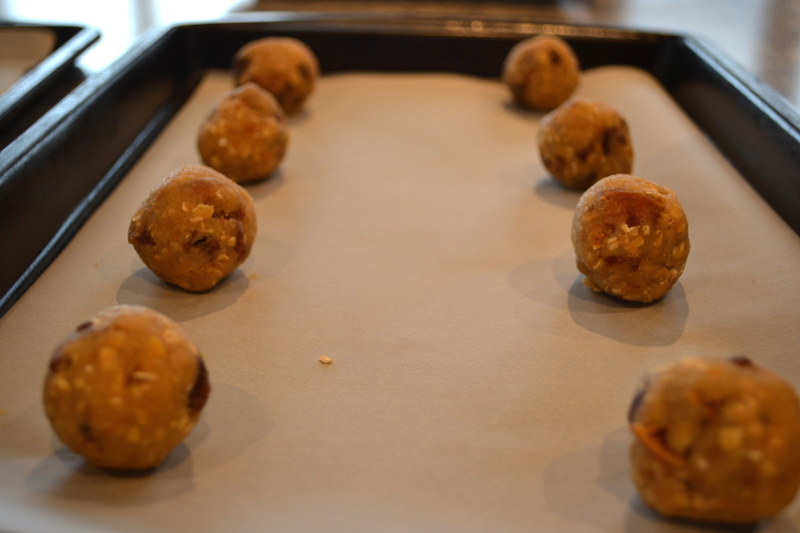 Place the cookie dough balls onto the lined tray and pop into your freezer for about 20-30 minutes. Once they are somewhat firm you can transfer them into a plastic freezer bag and seal tightly. When you want to bake them, remove them from your freezer bag and place onto a parchment lined cookie sheet, about 6-8 balls per tray. Allow them to thaw for 20 minutes at room temperature before baking them as you normally would. 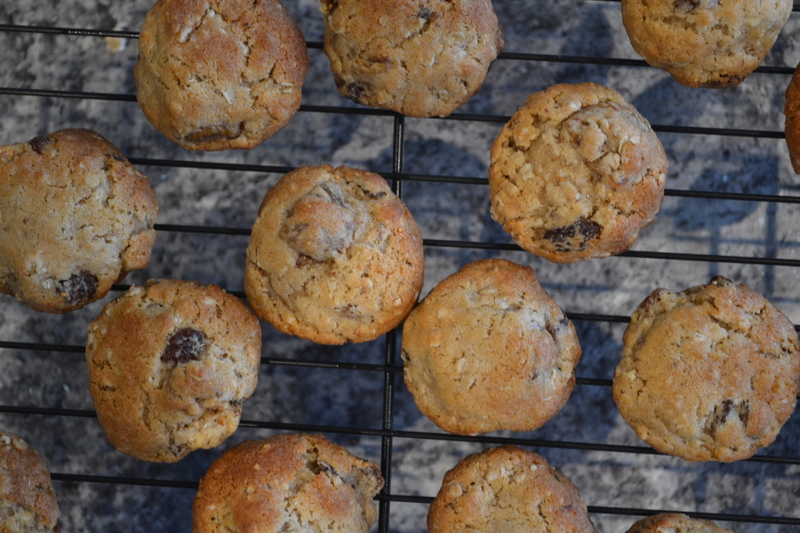 Fresh baked cookies in no time! Yum! Place a small bowl upside down inside a large bowl. 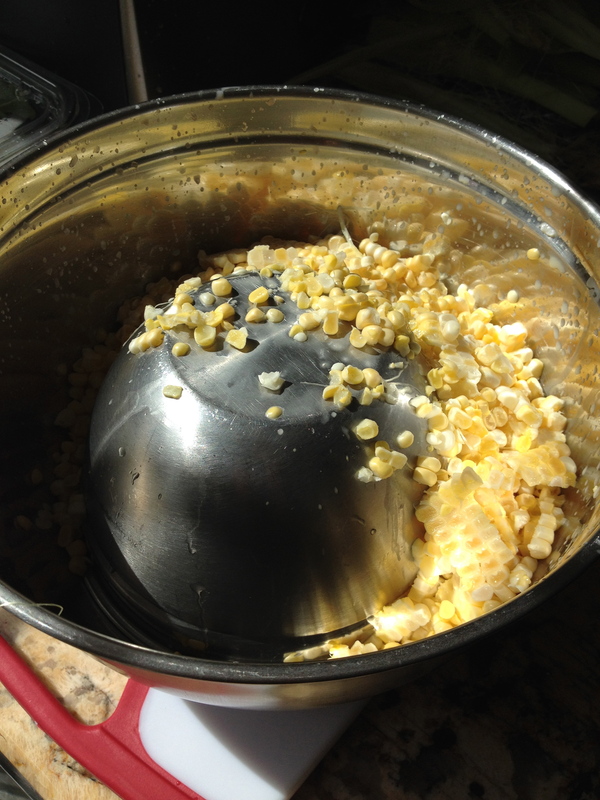 Stand corn on little bowl and carefully start at mid-cob and slice off rows of kernels, turning until you get all the kernels from one half of the corn. 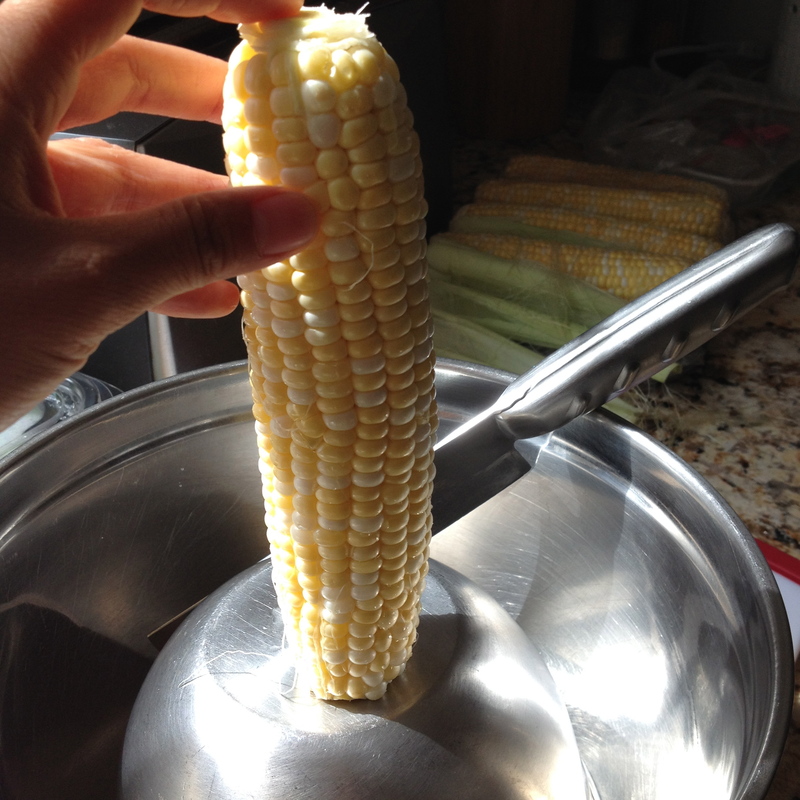 Turn over and do the same thing on the other end to get the full cob. 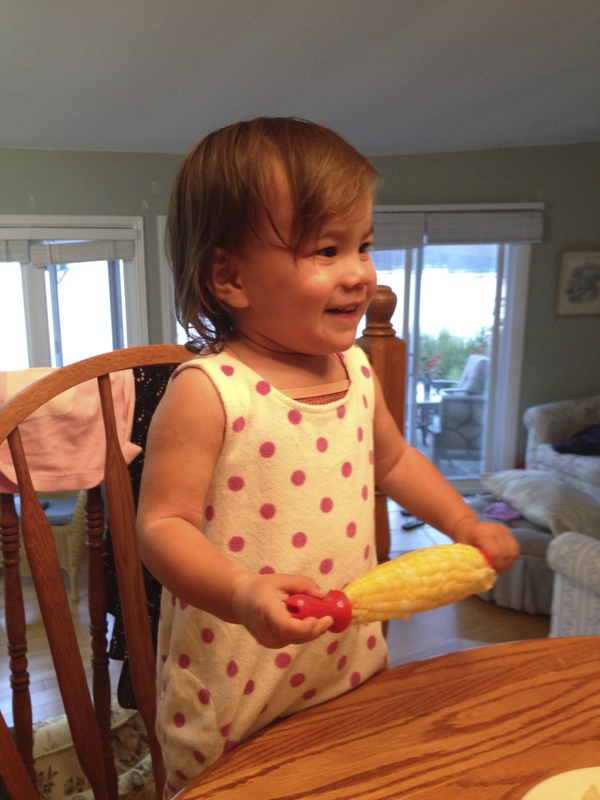 I did leave two cobs whole today so that pie pie could eat it the way she likes. Spice bags are perfect if you’re cooking with lots of spices and you don’t want to have to worry about fishing them out before serving your dish. Sometimes I don’t bother removing the spices – I can get lazy and I figure people will notice them and just remove it from their bowls as they come across it while eating…however, one time I cooked a homemade curry for my girlfriends and I used things like cardamon, big cloves of garlic, and ginger slices…and my friend Maya ended up eating a whole clove of garlic…it was really strong (yay immune boost) and after that it was all she could taste (sorry Maya!!!). Another time I made the same curry for my parents who were visiting and they kept eating cardamon seeds…which isn’t very pleasant because it is so strongly fragrant that it’s almost like eating a flower or soap (ew). So…I’ve learned my lesson! Use spice bags! 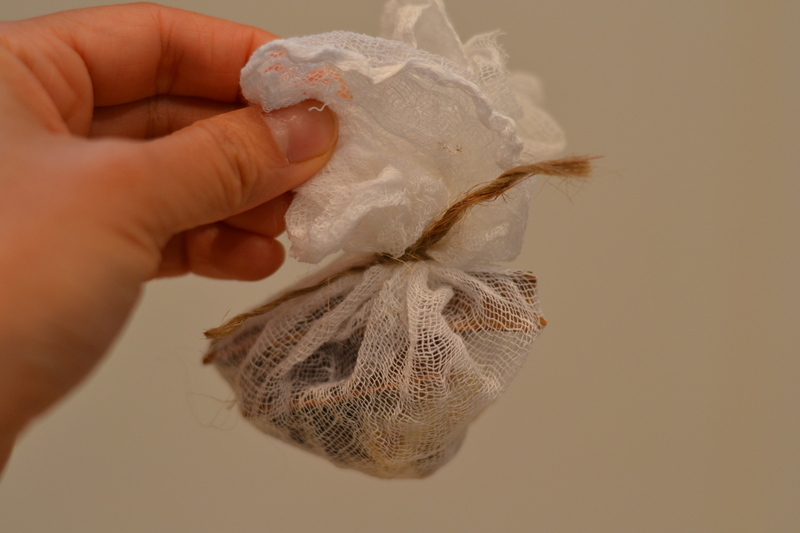 If you need to make your own spice bag – this is the easiest way! Cut a square of cheese cloth, place your spices in the centre, then pull all 4 corners up and tie a string around to enclose the spices within the bag. 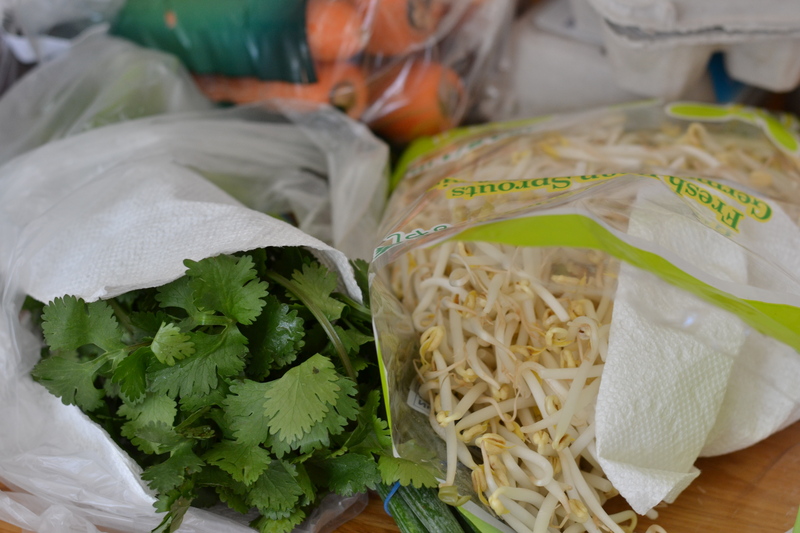 Ever feel frustrated that when you buy a big bunch of cilantro, a bag of bean sprouts, or a big clamshell of baby field greens, that it goes bad quickly within a couple of days? These delicate herbs and vegetables don’t have a long shelf-life but you can increase it by a few days by simply inserting a paper towel into the plastic bag or clamshell. The paper towel will absorb excess moisture that causes wilting and rotting. Whenever I get home from grocery shopping, before putting the produce away, I always put a paper towel with my veggies that tend to wilt or rot quickly. Definitely saves me from wasting food and throwing away $$$!